Julia approaches yoga with playfulness and curiosity. 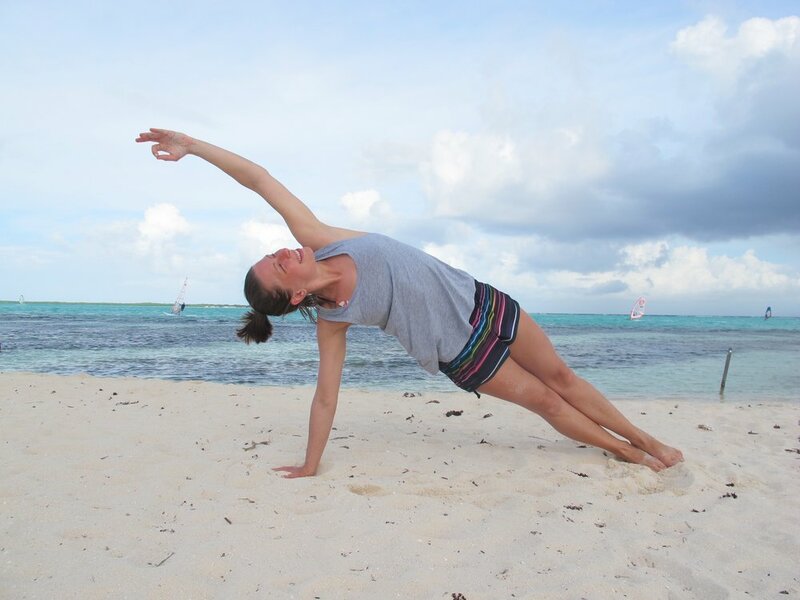 When she first discovered yoga as an avid windsurfer and swimmer, she took delight in arm balances but had very limited flexibility. Thanks to this and continuing to practice while recovering from injuries, Julia learned how to modify her practice. She offers a wide range of modifications in her classes. Julia’s sequencing is inspired by her teachers from Vancouver, where she started teaching and received her 200 hour certification. In her classes, she offers creative all-levels sequences, and encourages students to listen to their body and stay curious, and play on the mat.